The formation of primordial genetic material, whatever it was, would have required the presence on early Earth of the starting organic material for the synthesis of the building blocks of the genetic molecules, the nucleotides. Recent observations indicated that the majority of the organic compounds have been introduced on Earth by the interstellar dust particles (IDPs) that are considered the principal agents in the formation of complex molecules, thanks to their peculiar surface-catalytic activities. Results obtained in the last years, in different fields, strengthen the hypothesis, originally proposed by Bernal (The Physical basis of life, 1951) of a clay-surface-mediated origin of genetic material. 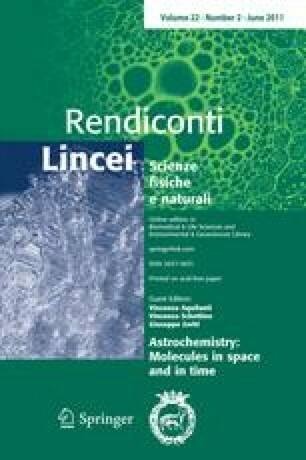 Paper presented at the Symposium “Astrochemistry: molecules in space and time” (Rome, 4–5 November 2010), sponsored by Fondazione “Guido Donegani”, Accademia Nazionale dei Lincei.